Use this template to create a great report regarding your LinkedIn Social and your LinkedIn Paid activities. From the Social Reports segment select LinkedIn Social & Paid Report and click on the Create button. Once you’ve finished connecting your LinkedIn Social account, select your: Integration/Custom Account and your Organization. 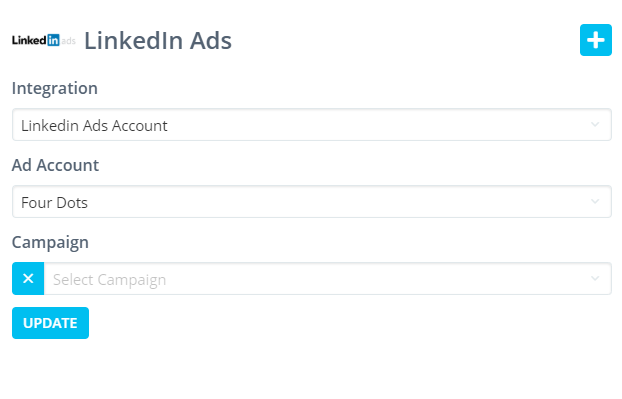 Scroll over to the LinkedIn Paid segment of the dashboard. Insert Custom Account Name (again, this isn’t really crucial for the process). Name it something like “LinkedIn Ads Account” and click Submit.